Here at Writings & Worship, we are big fans of self-care/self-love as long as it doesn’t make us have an “all about me” attitude. While I believe that not everything should be about ourselves, I do think that self-care is important. Not only that, but investing and believing in yourself is vital for your confidence and overall well-being. 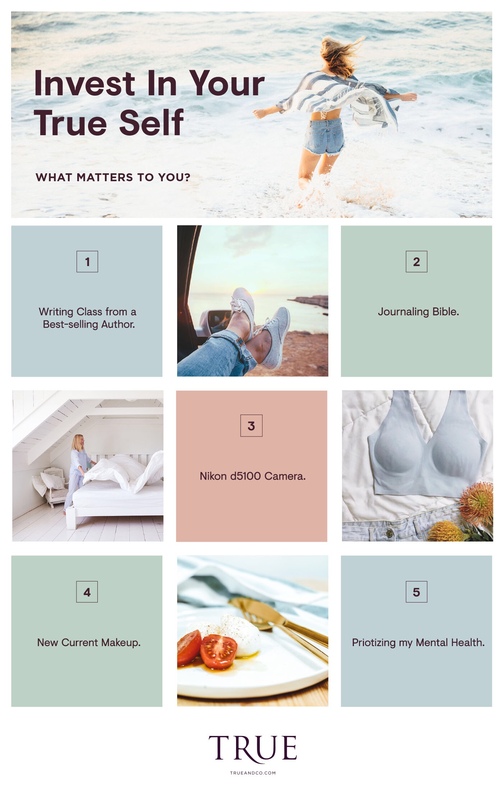 We’ve chatted in the past about the fact that self-care isn’t always a bubble bath and a new moisturizer…it can also mean therapy, counseling, or spending time in prayer. Similarly, investing in yourself isn’t always about being positive and having good thoughts. There are often easy, practical ways to invest in yourself daily. Today, True & Co. and I are joining forces to share a few ways I have invested in myself lately. We’d love for you to join us in sharing some ways YOU have invested in yourself. Whether investing in yourself means buying a good, new bra or an online class to help you in your profession, there are hundreds of ways to invest in yourself! 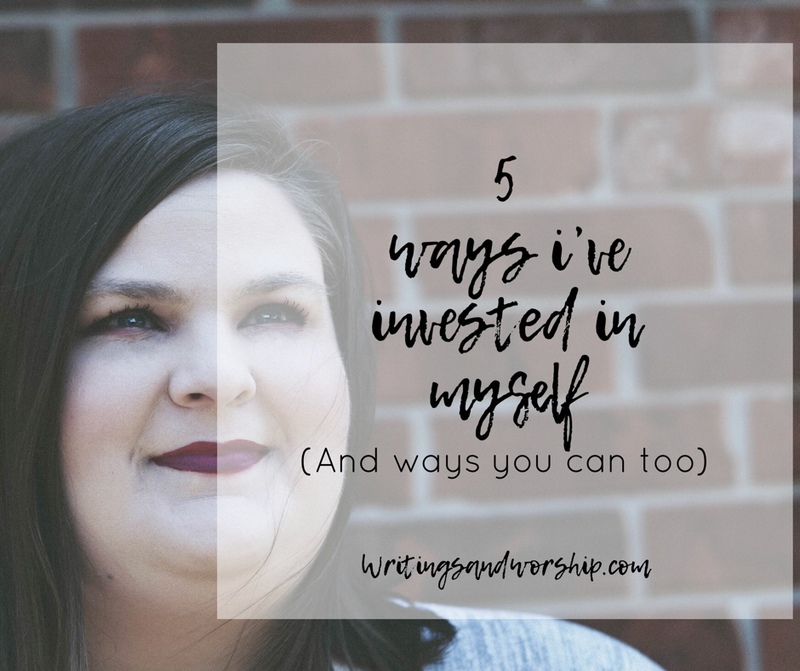 So, here are 5 ways I have invested in myself. If you’re new around here, I am not only a blogger but a fiction writer. I love creative writing and I hope to one day be published. The writing world is huge and aggressive…everyone thinks they are good enough to be published. I technically have 2 novels written but they were written at a young age. Even though I feel like I know a lot about all kinds of writing, fiction writing is another beast altogether. When I found out my favorite author was offering an online writing course you could finish at your own pace…I knew I needed to purchase it. It wasn’t exactly cheap and I didn’t have a lot of extra funds at the time but I felt like this was too important to pass up. I knew I should invest in my writing career and so far it is worth every single penny. Being the creative I am, Bible journaling was a craze I wanted to take part in. I knew when journaling Bibles became popular, I decided to invest in one and in turn…invest in my creativity. This Bible allows me to both study the Word but also use my creative juices to write, doodle, and create things inside my Bible. This was an investment into my creative side and my relationship with God. There is just something poetic about using art to worship and thank God for everything He does. As a self-taught photographer, sometimes I don’t give myself enough credit. It is easy to doubt my skills and question my use of positions, filters, etc. When I started getting serious about my photography, I decided to invest in a new camera and a new lens (well, new to me). This purchase was an investment in not only equipment but an investment in my photography skills as well. Remember that purchases can easily be investments in yourself. For me, these upgrades were a huge factor in upping my photography game. As a blogger, an investment in my blog is also an investment in myself. My blog is a huge part of my life and investing in it really increases my confidence and love for the job. 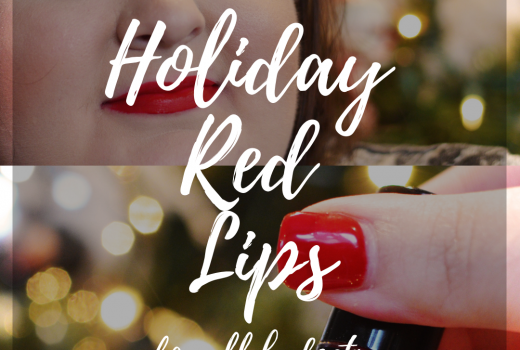 So in my line of work, purchasing the newest makeup to test is a big investment in myself and my blog. I love when I am able to produce a good, current review for my readers and sometimes that means investing in some makeup. I’m sure any beauty bloggers know what I mean! Investing in yourself often means investing in your business or hobbies-things that make you happy. While I mention this last, it is probably one of the top ways I invest in myself. A few years ago, when I was diagnosed with an anxiety disorder, I started out on a journey to make my mental health a priority. Often we don’t really think about our mental health and we ignore the signs, which will end up causing us more pain. Let me tell you that mental health should be a top priority in your life. Whether you have a diagnosis or not, we all struggle with our mental health sometimes. I have really been trying to put forth a good effort to invest in my mental health. Whether that means counseling, helpful podcasts, or even stepping away from toxic relationships. If you prioritize your mental health you are really investing in yourself. When I started investing in myself by being mindful of my mental health, I began to really live better. Sometimes I need to step away, sometimes I need to walk away from a friend that is toxic…either way, investing in my mental health is a great step and I hope you can take it as well. Here are a few ways you can invest in yourself. Maybe you have some ideas that you could do for yourself, I’d love to read them in the comments!